For the longest time, television technology seemed to stagnate, especially in the 80's and 90's. Game consoles output video resolution that was commensurate with the standard technology. Since high definition wasn't a thing yet, standard definition (480i) was what we knew. As such, the methods of delivering the video information to the TV was not anything worth fussing about. Now that it is 2016, and high-definition has been the standard for many years, we can see the staggering difference between HD and SD. When hooking up a retro system to an HD TV, the video image is resoundingly atrocious. Why is this you ask? Well, it has to do with how the television interprets the information from the console. I am not an expert on this, but I'll try to explain it and simply as I can. If I am in error on any of this information, kindly let me know. HD TVs generally assume that a 240p signal, which is common video game signal of the era, is 480i. 240p means 240 progressively drawn lines, at 60 frames per second, with every other line blank (appear as scanlines). 480i means 480 interlaced lines, drawn at 30 frames per second, drawn in alternating fashion but filling the screen. The native resolution of modern TVs don't match that of older consoles, which primarily output 240p. So, there is a lot of guesswork that the internal TV transcoder has to do to figure out how to put an image on a 1080 screen that is only sending 240 lines worth of information. The result is a smeary, ill-defined image. Due to this, some companies have made upscaling units that will scale a lower resolution signal into an HD signal. Of course these vary wildly in quality, with the nearly unanimous top choice being a Micomsoft Frameister. This unit was designed to take 240p signals and correctly adjust them to 720p or 1080p, and from what I hear, it does so spectacularly. It is a pricey unit, averaging about $350 or so on eBay. Audio information can be either in mono or stereo. This type of signal carries the chroma, luma, sync, and audio data all in one data stream. It is by far the worst type of signal to input into your TV. It would be as if you were were trying to read four different novels at the same time. You could make sense of it possibly, but your comprehension of each would be hazy to say the least. 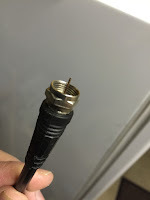 I should mention that RF cables look like cable TV connections, but what is being sent from the cable company is not the same as what comes through an RF connection. Composite removes the stereo audio information from the mix, and only carries the information relevant to the visual: chroma, luma, and sync. A slight improvement for sure, but still pretty muddled. 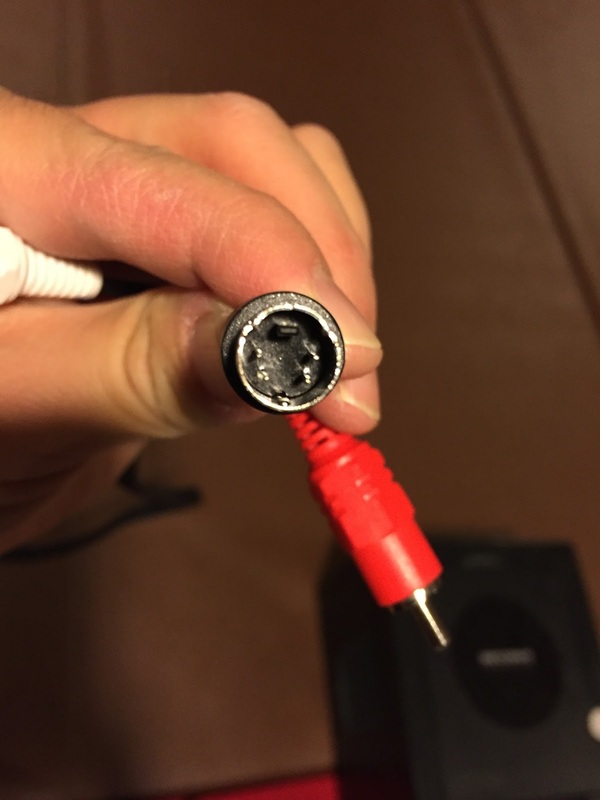 This type of cable was ubiquitous from the late 80's all the way through the early 2000's. It came standard with every game system during that era. The image quality takes a huge leap forward, as the chroma and luma are separated from each other (with sync riding along with the luma). 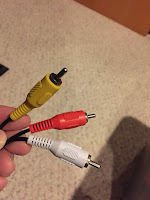 If your console supports S-video, this is an excellent option as cords are cheap and S-video is still a supported input on modern televisions. It may be hard to tell from this picture, but due to the specific placement of the 4 pins and plastic prong, connecting this plug to a t.v. was a pain. It was made even worst if you were reaching around the back of the t.v. and couldn't directly see what you were doing or how the plug was oriented. The next option is going to seem very foreign, and that is because it was never an option for console gamers in the United States. It is called RGB, which predictably stands for red, blue, and green. As you can imagine, separating these colors from one another improves picture quality further. As it turns out, RGB was a video format utilized by computer monitors of the time, as computer displays required crisp video information for output through monitors. This type of video signal was never an integrated technology for television sets over here. This RGB signal was available in Europe and Japan, using a specific type of cable that carried RGB, as well as other video formats. It was referred to as SCART, which is an acronym for a very long French name. This RGB signal, carried through a SCART cable, provides the best picture possible from the consoles that support it. It's not the prettiest plug, but its 21 pins allow for the cable to carry all sorts of different video formats. The red, blue, green (all of which make up the chroma), luma, sync, and left/right audio have their own dedicated pins, making for one fantastic information delivery system. For these systems mentioned above, you will need to buy an RGB SCART cable online, and some kind of adapter to hook it to your TV. Notice a glaring omission from the above list? 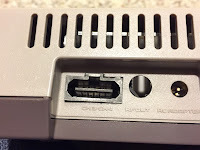 The Nintendo Entertainment System (Famicom in Japan) did not support RGB SCART. That's not to say that it can't be done, it will require a modification to do so. The NES picture processing unit (PPU) cannot output RGB, but the PPU from an old Nintendo Playchoice-10 arcade cabinet does. 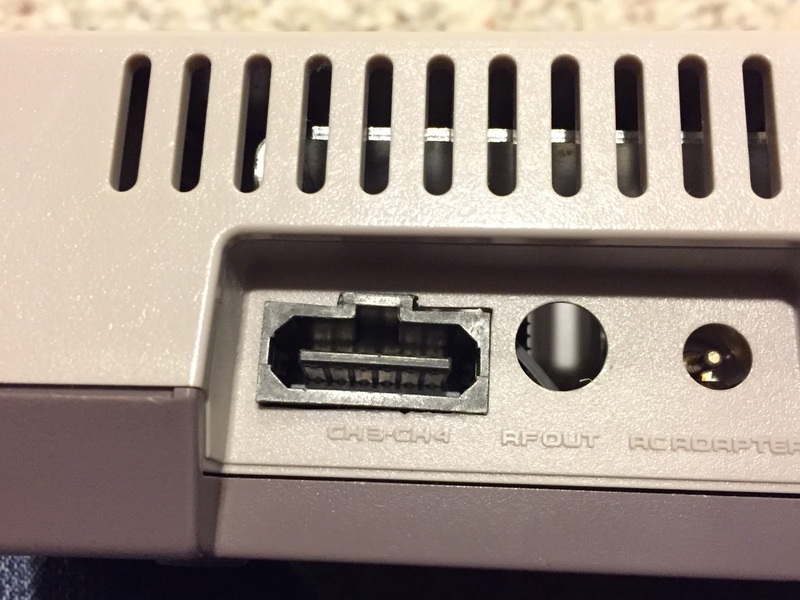 So people have been gutting these cabinets for the PPU chips, installing them into NES systems, and modifying the output connection to match the multi-out connection that Nintendo utilized from the SNES through the Gamecube. I don't have the skills to do this, so I bought one already modded off of eBay. There are also newer RGB boards available online, that bypass the need for the increasingly rare Playchoice-10 PPU. These newer boards also provide a color palate more faithful to the original NES color palate. It should be mentioned that since I prefer a CRT for retro gaming, I am inputting the SCART 240p signals with a SCART to component transcoder, so they will be accepted as component since TVs here in the US do not have SCART inputs. I also have a Dreamcast, which has left me at a crossroads. The Dreamcast was ahead of its time, allowing for VGA output, if someone wanted to view it at a computer-resolution standard. It can be connected to a SD tube TV, and also an HD TV. Tube TVs cannot accept VGA. The Dreamcast does output RGB, but this 6th generation of consoles (including the PS2, Gamecube, Xbox) output both 480i and 240p, and in some cases 480p. This means the optimal output signal varies depending on that particular game. For example, I had my Dreamcast connected via RGB scart, but I realized that not all games (Giga Wing, Street Fighter Alpha 3) were capable of 240p resolution and so the game would not run with a SCART cable connected! Sadly I reverted to S-video for the Dreamcast. Maybe someday I'll buy a VGA converter box and hook it into the VGA input on my HD TV. 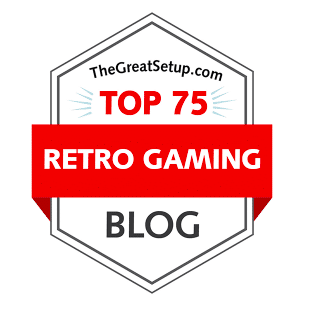 I'd love to take advantage of RGB upgrades to some of my retro systems, however I've always wondered if there was still a way to keep them all connected at the same time? Currently I use a AV/S-Video selector(s) for many of the systems. Is there anything like that if you are using RGB? I use component for many of the newer systems and of course VGA for my Dreamcast. Yes there is! It will take some digging and some patience, but I use a Bandridge Scart selector that I got off of eBay. They are found mainly in the UK and Europe, so shipping is higher than normal. The bandridge scart cable is run through a scart to component converter, which runs into a component switch box, and then into the TV. I have an S-video switch as well. Seems like it might just be better to get a Retron 5 and hook it up to a modern LED/LCD via HDMI and be done with it. Haha yeah, that's what most people would do these days. 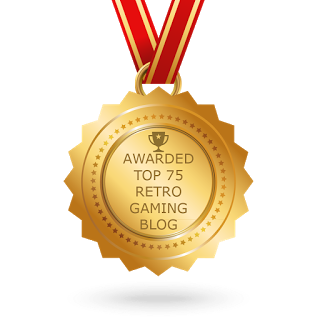 This post is for those of us who prefer original hardware, aspect ratios, scanlines, etc.